GTO A204 gear motor assembly for GTO / PRO 1000 / 1200 gate operators. This item has been discontinued by the manufacturer (GTO PRO). For assistance with finding a suitable substitute, please call us toll free at (800) 730-3008. GTO A207 Motor Housing Cover for GTO / PRO SL1000 / 1200 / 2000 / 2200 gate openers. GTO AC201 Wire Harness for Gear Motor. For All DC slide operators. GTO AC202 60 ft. Power Cable for the GTO / PRO SL1200 / 1200B gate operators. GTO AC203 60 ft. Power Cable with Battery Harness for the GTO / PRO SL2200 / 2200B gate operators. GTO AQ153 loaded control box with AQ251 control board for GTO / PRO 1000 / SL1000B / 2000B gate operators. GTO AQ201 Receiver Assembly with Antenna and 10 foot Cable. GTO AQ201-100-NB narrow band receiver assembly with antenna and 100 ft. cable. GTO AQ202 Receiver Assembly with 20 foot Cable. GTO AQ202-NB narrow band receiver with 20 ft cable. Standard with GTO / PRO DC slide operators. GTO AW201 4.5 ft. power cable for GTO / PRO 1000. UL - 1 plug. GTO AW204 25 ft. power cable for GTO / PRO 1000 / 1200. Pre UL - 2 plugs. GTO AW296 8 ft. battery harness. GTO F3110MBC residential exterior intercom / keypad for GTO / PRO F3100MBC estate wireless entry intercom keypad. The Wireless Intercom/Keypad has two separate units: the KEYPAD and the BASE UNIT. The keypad should be mounted outside the gate allowing visitors to press the CALL button from their vehicle. The base unit is powered by a rechargeable battery; the charge is maintained by the transformer. It can also be disconnected from the transformer allowing it to go anywhere within range for convenience. Up to three additional base units can be added for convenience in different locations throughout the house. The GTO FM139 Exit Wand with 50 ft. of low-voltage wire automatically activates a gate opener when a vehicle exits the property. 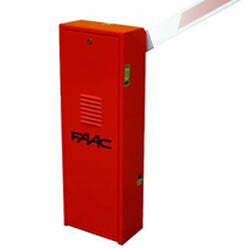 Compatible with ALL gate operators. Easy to install! Detects vehicles in motion much like a loop system without the need to cut the driveway! The GTO FM140 Exit Wand with 100 ft. of low-voltage wire automatically activates a gate opener when a vehicle exits the property. Compatible with ALL gate operators. Easy to install! Detects vehicles in motion much like a loop system without the need to cut the driveway! The GTO FM141 Exit Wand with 150 ft. of low-voltage wire automatically activates gate operators "Hands-Free" when a vehicle approaches. Designed for residential, agricultural, and commercial applications. This item has been discontinued by the manufacturer . GTO FM316 Battery Heater for DC Operators. The battery heater keeps the battery warm so it's output is not constricted by the cold weather. Not solar compatible. GTO FTMT40 Front Mount with Pin for GTO / PRO SW4000XL / 4200XL gate openers. Black Color. GTO GP4144 battery charger kit for GTO / PRO GP Series. GTO R4255R sprocket for GTO / PRO GP-SL050 slide gate operator. GTO GP4256 cover with labels for the GTO / PRO GP-SL050 / SL100 slide gate operators. GTO GP4314 cover spacers for GTO / PRO GP gate operators series covers. Pack of Two. GTO GP4351 cover with labels for the GTO / PRO GP-SW050 / SW100 swing gate operators. GTO GP4357 linkage for GTO / PRO GP-SW series of gate operators. GTO GP4361 chain bracket with adjustable screw set for GTO / PRO GP-SL Series of gate operators. GTO GP4691 gear motor assembly for GTO / PRO GP-SL100 slide gate operator. GTO GP4692 gear motor assembly for GTO / PRO GP-SW 050 swing gate operator. GTO GP4693 gear motor assembly for GTO / PRO GP-SW 100 swing gate operator. The GTO H301P is the 3000 gate operator hardware BAG for black brackets. GTO HB100 hardware brackets for the GTO / PRO SW1000 / 1500 / 2500 gate openers. The GTO HB301 is a black bracket set with captured gate bracket for the GTO 3000XL gate operator. The GTO H4000 is the bracket kit for the GTO / PRO SW4000XL / 4200XL. Includes the gate, post, pivot brackets and the stop plate. The HBP4XL hardware bracket set is required to UPGRADE the GTO SW4000XL Swing Gate Operator to operate a gate that is up to 20 ft. long and weighs 1000 lbs. GTO LOCKPCB PC Board for vehicular electric gate locks. UL 325 Certified and Listed. This item has been discontinued by GTO the manufacturer. For assistance with finding a suitable substitute, please call us at 1-800-730-3008. Just like the Driveway Wand Vehicle Sensor this device can be installed under or within the actual driveway utilizing a matching Saw Cut or Pave Over Preformed Loop; detects an approaching vehicle and activates the GTO/PRO gate operator for various operations (Entrance, Exit, Shadow, etc.). GTO L-PO-0612 Preformed Pave Over Loops - 6 ft. x 12 ft.
6 ft. x 12 ft. Preformed Pave Over Loop with a 50 ft. lead. GTO L-SC-0408 Preformed Saw Cut Loops - 4 ft. x 8 ft.
4 ft. x 8 ft. Preformed Saw Cut Loop with a 50 ft. lead. GTO L-SC-0612 Preformed Saw Cut Loops - 6 ft. x 12 ft.
6 ft. x 12 ft. Preformed Saw Cut Loop with a 50 ft. lead. GTO PCK30406 6 ft. Power Cable with Strain Relief for the GTO / PRO SW3000XL / SW4000 gate openers. GTO-PCK3240 40 ft. Power Cable with Strain Relief for the GTO / PRO 3200XL gate openers. GTO PCK4250 50 ft. Power Cable with Strain Relief for the GTO / PRO SW4200XL gate opener. GTO PCK506 6 ft. Power Cable with Strain Relief for the GTO / PRO 2000XL and 2500 gate openers. GTO PCK5240 40 ft. Power Cable with Strain Relief for the GTO / PRO 2000XL and 2500 gate openers. GTO PRO3040CBOX loaded control box for GTO / PRO 4000XL / 3000XL gate operators series. GTO PRO3200ARMXL Replacement Arm for GTO SW3200XL swing gate opener with 40' cable. This replacement arm is rated for swing gates up to 650 lbs maximum and 16 ft. per leaf. GTO PRO4200ARMXL Replacement Arm for GTO PRO SW4200XL Swing Gate Operator with 50' Cable. This replacement arm is rated for swing gates up to 1000 lbs maximum and 20 ft. per leaf. GTO R4022 12 Volt battery and transformer for GTO / PRO F3100/4100 intercom base station. GTO R4030 2 Piece Leg Kit for DC Slide Gate Openers. GTO R4052 PC board for SW1500. UL 325 certified and Listed. GTO R4054 limit switch harness for GTO / PRO 1500 gate operator. GTO R4059 battery / power cable harness for GTO / PRO 1500 gate operator. GTO R4130 battery heater for GTO GP series operators. The GTO R4211 Replacement Control Board (PRO3040PCB) is good for Mighty Mule FM500, FM502 also compatible with GTO PRO 2000XL, 3000XL, 4000XL and with the old PRO2000, PRO2500, PRO3000, PRO4000 Swing Gate Operators. UL 325 Certified and Listed. GTO Model R4222 Photo Beam Photoelectric Safety Sensor. 30 ft. range between sender and receiver. Easy to install and works with all gate operator brands. GTO R4400 empty large metal control box for automotive battery. The GTO R4404 is a scraper seal kit for the GTO / PRO 2000XL, 3000XL & 4000XL. Black Color. GTO R4412 black housing kit for the GTO / PRO 1500 gate operator. GTO R4413 black housing kit for GTO 500 / 2500 gate operators. The GTO R4414 is an aluminum housing kit for the GTO / PRO SW3000XL / SW4000XL. GTO R4420 limit switch and plate kit for GTO / PRO DC Slide gate operators. GTO R4421 limit switch kit for GTO / PRO DC Slide gate operators. GTO R4422 limit nut Kit for all GTO / PRO DC Slide gate operators. GTO R4423 sprocket assembly kit for all GTO / PRO DC Slide gate operators. The GTO R4430 rear mount kit for the GTO PRO 2000XL / 1500 / 2500 gate operators. The GTO R4450 Wireless Driveway Alarm alerts you of vehicles entering your driveway (with or without an automated gate). The indoor base station signals you with a door chime when a vehicle passes the driveway sensor. GTO R4690 loaded control box for GTO / PRO 2000XL / 2500 gate operators series. GTO R4691 empty control box for GTO / PRO 2000XL / 2500 gate operators series. The GTO R4KGATE is the gate bracket for the GTO / PRO 4000XL / 3000XL / 2000XL gate operators. The GTO R4KPIVOT is a 10 ft. pivot bracket for the GTO / PRO SW4000XL / 4200XL gate operators. The GTO R4KPOST is the bracket post for the GTO / PRO SW4000XL / 4200XL gate operators. The GTO R4KPTO is a 12 ft. special push to open bracket for the GTO / PRO SW4000XL / 4200XL gate operators. The GTO R4KSTOP is the Positive Stop Plate. Powder Coated Black. The GTO RB205B Replacement Gear Motor with Brake for GTO Gate Operators SL2000B / 2200B. GTO RB208-12 12 Pack Master Link for the GTO RB207 Chain Replacement. Replacement battery For GTO Mighty Mule RB500 (FM150) battery. This is a standard 12 volt, 7.0 amp-hour, maintenance-free battery for many GTO/PRO & Mighty Mule gate opener systems. Not compatible with Mighty Mule 250 and 350. Please Note: Due to stock levels at the time of order a substitution for this item may be made with an equal but generic brand product. Replacement battery For GTO Mighty Mule RB500-8PK (FM150) battery. This is a standard 12 volt, 7.0 amp-hour, maintenance-free battery for many GTO/PRO & Mighty Mule gate opener systems. Not compatible with Mighty Mule 250 and 350. The GTO RB709 Universal 318Mhz Receiver Is For Use With Single Button RB741, The Dual Button RB742 or the Triple Button RB743 Remote Control Transmitters. Also Mighty mule Transmitters! GTO REWPOTPCB01 PC Board with tuning pot for GTO / PRO vehicular sensor exit wands. UL 325 Certified and Listed. The GTO RVCCUP3040 is a rev counter cup for the GTO / PRO SW3000 / 4000 NON XL gate openers. The GTO RVCTBD3040 is a rev counter board for the GTO / PRO SW2000XLS / SW2002XLS and SW3000 / SW4000 NON XLS gate openers. The GTO / PRO Wireless Intercom / Keypad F3100MBC is a versatile intercom system that allows for clear communication between an outsider requesting entrance to the property, and a person inside of the property. Also enables you to grant access to your property by instructing the visitor to press a button on the keypad at the gate. This was formerly the GTO 4100 keypad. The GTO RB741, AKA Mighty Mule FM135, Transmitter is a one channel, one button remote compatible with all GTO gate operators and GTO receivers. Simply set the dip switches inside the unit to match your other transmitters and receiver. Battery and visor clip included. 318MHz remote. GTO F310 wireless keypad is compatible with all GTO gate operator receivers. Will work with GTO's PRO1500, PRO2500, PRO3000, PRO4000, GTO's PRO1000, PRO2000, Mighty Mule swing gate operators and SL1000 slide gate operator. GTO PRO Dual SW4000XLS & SW4200XLS Swing Gate Opener (also known as a GTO swing gate operator or GTO swing gate motor) Kit is designed for tubular steel, vinyl, wood, or ornamental gates. The PRO4000XLS swing gate opener is for single swing gates. New enhanced motor for faster open/close. Rated for gates up to 1000 lbs. & 20 feet. Capacity for the new 4000XLS is 20 Feet and 1000 lbs. If you need the higher specs of 20 Feet / 1000 lbs, you will need to add the HBP4XL brackets. We offer a kit including the 4000XLS and the HBP4XL Brackets which can be found by entering 4000XLS in our Search Box. The bracket is also sold separately and can be searched by its part number HBP4XL. The GPX-SL25 series will handle gates weighing up to 650 lbs. (294.8 kg) and 24 ft. (7.3 m) in length with a 20 ft. (6.1 m) opening, if all proper installation procedures have been followed. Note: Ball bearing rollers should be used on all gates. Add the GTO PRO SW 4000XLS to the PRO4000XLS swing gate opener (also known as a GTO swing gate operator or GTO swing gate motor) and your system will operate a double swing gate up to 40' wide (20' each leaf). Burying the power cable directly across the driveway is fine. It can be snaked through conduit also. Cable is 1/4 inch diameter with a 1 inch plug on one end only. GTO / PRO Residential Sliding Gate Opener Model PRO-SL2000B is a slide gate opener (also known as a GTO slide gate operator or GTO slide gate motor) designed for light commercial application. Max Gate; Weight 1000 lbs., Length 30 ft. with a 20 ft. opening. GTO PRO slide gate opener (also known as a GTO swing gate operator or GTO swing gate motor) 2nd Opener for Dual Slide Gates up to a maximum of 20' or 1000 lbs. GTO PRO SW2000XLS swing gate opener (also known as a GTO swing gate operator or GTO swing gate motor) Kit is a complete swing gate opener kit rated for swing gates up to 500 pounds maximum OR 16 ft. per leaf. Includes 1 GTO RB741 Remote, Receiver, Control Board, Control Box, Mounting Hardware, Power Cable, Caution Signs, Warning Beeper and more! GTO PRO SW4000XLS Swing Gate Opener (also known as a GTO swing gate operator or GTO swing gate motor) Kit is designed for tubular steel, vinyl, wood, or ornamental gates. The PRO4000XLS swing gate opener is for single swing gates. New enhanced motor for faster open/close. Rated for gates up to 1000 lbs. & 20 feet. GTO Mighty Mule 3 button 318mhz frequency 9 dip switch (+0-) settings Three button entry transmitter is made to work with a GTO/Mighty Mule gate opener as well as up to two more garage door openers or gate openers. GTO RB502 14 Volt AC replacement transformer for GTO / PRO 1000 / 1200 operators only. GTO RB566 18 Volt / 20VA replacement transformer for GTO / PRO 1000. For UL operators only. CANNOT be used with Pre UL Operators. GTO RB570 Replacement Transformer For SW2000 / 3000 / 4000 And SL1000 / 2000 UL Only. Model (FM134) RB742 GTO Mini Two Button (2 Channel) Remote Control Transmitter For All GTO and Mighty Mule Gate Operators. This Model Is Discontinued. Please see model GTO PRO SW2000XLS with Free Transmitter or GTO PRO SW2000XLS with Free Keypad as a possible replacement. GTO PRO2000ARMXL Replacement Arm for GTO SW2000XL swing gate opener with 6 ft. Cable. This replacement arm is rated for swing gates up to 500 pounds maximum OR 16 ft. per leaf. GTO PRO2002ARMXL Replacement Arm for GTO SW2002XL Slave Operator with 32 ft. Cable. This replacement arm is rated for swing gates up to 500 pounds maximum OR 16 ft. per leaf. The GTO PRO SW3200XLS series will operate a gate up to 16 ft. (4.9 m) long and weighing 650 lbs. (294.8 kg) each leaf if all proper installation procedures have been followed. Ball bearing hinges should be used on all gates weighing over 250 lbs. (113.4 kg). Note: This is a SECONDARY ARM ONLY. GTO PRO SW2000XLS Swing Gate Opener (also known as a GTO swing gate operator or GTO swing gate motor) Kit is a complete gate opener kit rated for swing gates up to 500 pounds maximum OR 16 ft. per leaf. 1 GTO RB741 Remote, Receiver, Control Board, Control Box, Mounting Hardware, Power Cable, Caution Signs, Warning Beeper and more! GTO PRO SW2000XLS Swing Gate Opener (also known as a GTO swing gate operator or GTO swing gate motor) Kit is a complete gate opener kit rated for swing gates up to 500 pounds maximum OR 16 ft. per leaf. Includes 1 GTO FM123 Solar Panel, 1 GTO RB741 Remote, Receiver, Control Board, Control Box, Mounting Hardware, Power Cable, Caution Signs, Warning Beeper and more! GTO PRO SW2002XLS Swing Gate Opener (also known as a GTO swing gate operator or GTO swing gate motor) Kit is a complete DUAL gate opener system kit rated for swing gates up to 500 pounds maximum OR 16 ft. per leaf. Includes master swing gate operator, slave swing gate opener, 1 GTO RB741 Remote, Receiver, Control Board, Control Box, Mounting Hardware, Power Cable, Caution Signs, Warning Beeper and more! GTO PRO SW2002XLS Swing Gate Opener (also known as a GTO swing gate operator or GTO swing gate motor) Kit is a complete DUAL gate opener system kit rated for swing gates up to 500 pounds maximum OR 16 ft. per leaf. Includes master swing gate operator, slave swing gate opener, 1 GTO RB741 Remote, 2 GTO FM123 10w Solar Panel, Receiver, Control Board, Control Box, Mounting Hardware, Power Cable, Caution Signs, Warning Beeper and more! The GTO SW050 is a swing gate opener (also known as a GTO swing gate operator or GTO swing gate motor) for gate up to 16 feet long and 650 pounds per leaf. Comes with a 7 year residential application warranty. GTO PRO SW4000XL Residential / Light Commercial Duty Swing Gate Operator Kit with HBP4XL Hardware Bracket For Gate Up To 20' And 1000 lbs. This Model Is Discontinued. Please see GTO PRO SW4000XLS as a possible replacement. GTO PRO SW4000XL Swing Gate Opener (also known as a GTO swing gate operator or GTO swing gate motor) Kit is designed for tubular steel, vinyl, wood, or ornamental gates. The PRO4000XL is for single swing gates. New enhanced motor for faster open/close. This kit includes the HBP4XL Hardware Bracket which contains the UPGRADED hardware and brackets that are required for the PRO-SW4000XL kit to open and close a gate that is up to 1000 lbs. & 20 feet. This Model Is Discontinued. Please see model GTO PRO Residential Slide Gate Opener SL2000B as a possible replacement. The GTO SL050 slide gate opener (also known as a GTO slide gate operator or GTO slide gate motor) is a Residential Sliding Gate Opener for gates up to 32 feet long and weighing up to 800 pounds. Comes with a 7 year mechanical, 5 year electrical warranty.